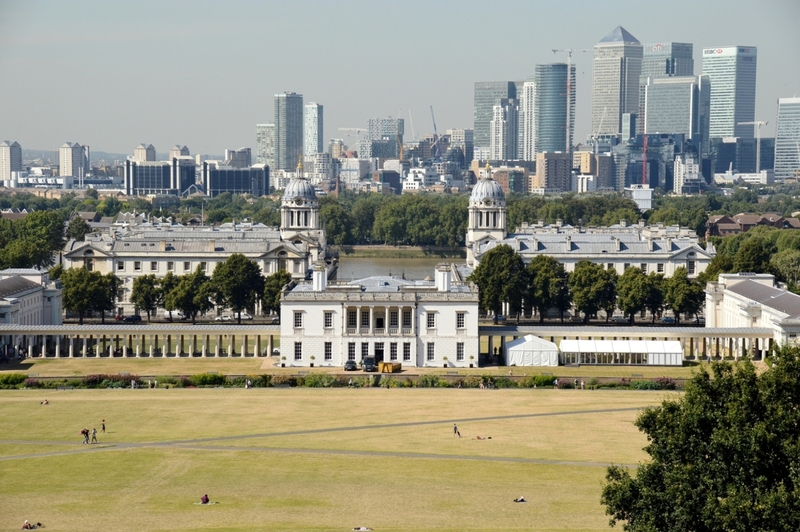 Visiting Maritime Greenwich makes a whole day out and can be for little or no cost (take a picnic) and is one of the best places to photograph in London. 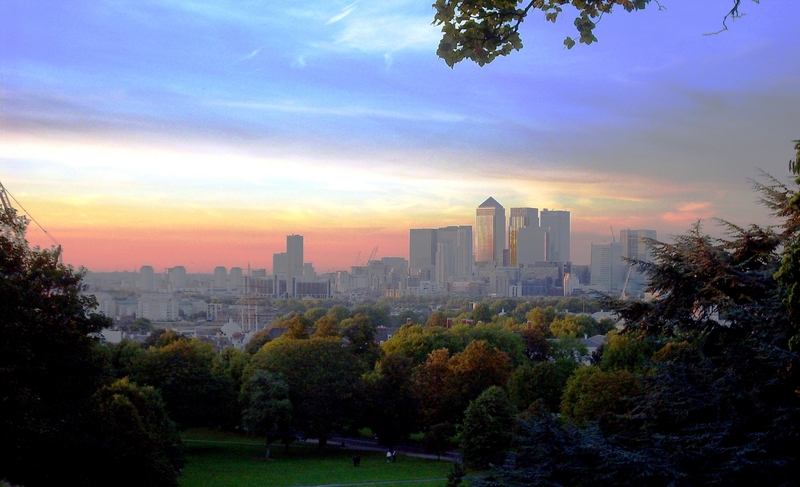 It includes the Upper Park Gardens, Deer Enclosure, Royal Naval College, National Maritime Museum, the Queens House, Royal Observatory, Exhibitions, Planetarium, Arts and Crafts Market, Cinema, Comedy Club and a broad range of Restaurants, Cafes and Taverns. The best place to start is at the Upper Gardens and then down the hill. 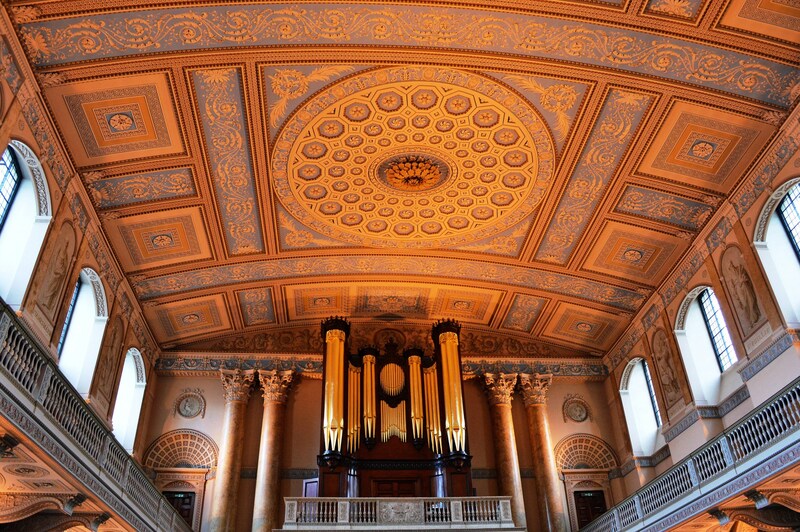 Greenwich is also a World Heritage site with a wealth of architecture and art of historical interest. At the end of this post is more entertainment information. 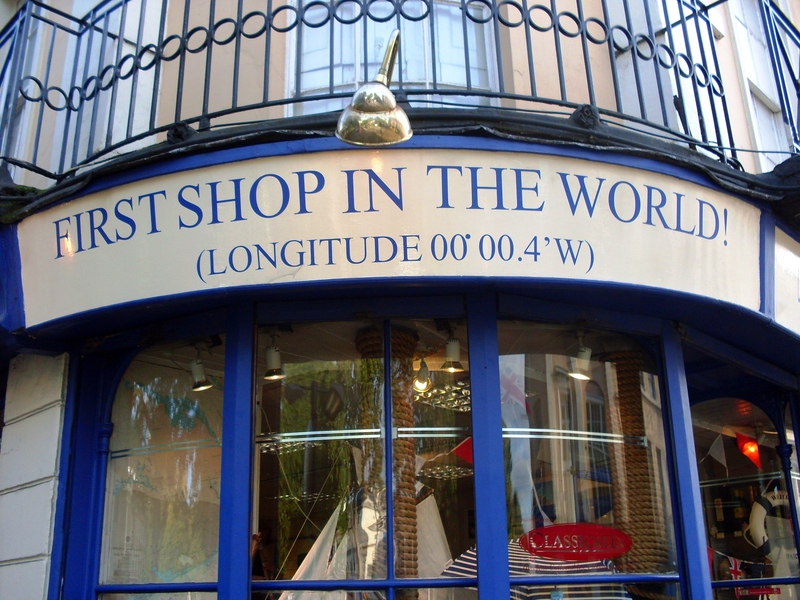 Many of the attractions are free and can be photographed and one can stand upon the worlds Prime Meridian at 0 degrees Longitude (see the Tourist Information Map ⇓). Nauticalia is full of seafaring items. It’s at 25 Nelson Rd, that is South past the market and turn left. It might sound like an excessive boast. Then again it does stand at Longitude 00′ 00′ .4′ West. Turn left out of the DLR station, along the short mall and then turn left again. This great Tea Clipper has been recently restored after a fire during a previous attempt at restoration. The interior is open to view although it is expensive with many other venues free. Admission. 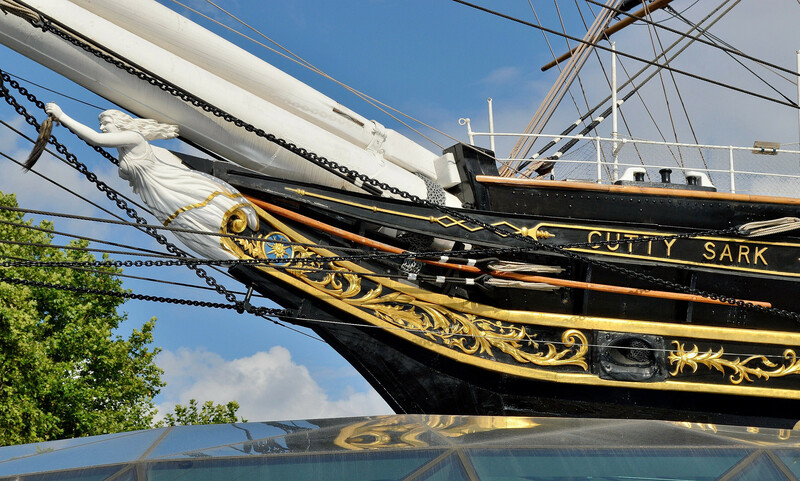 History of the Cutty Sark. Designed by Christopher Wren, (currently closed until 2019) admission was free, you could take non-commercial photographs and was definitely worth a visit. 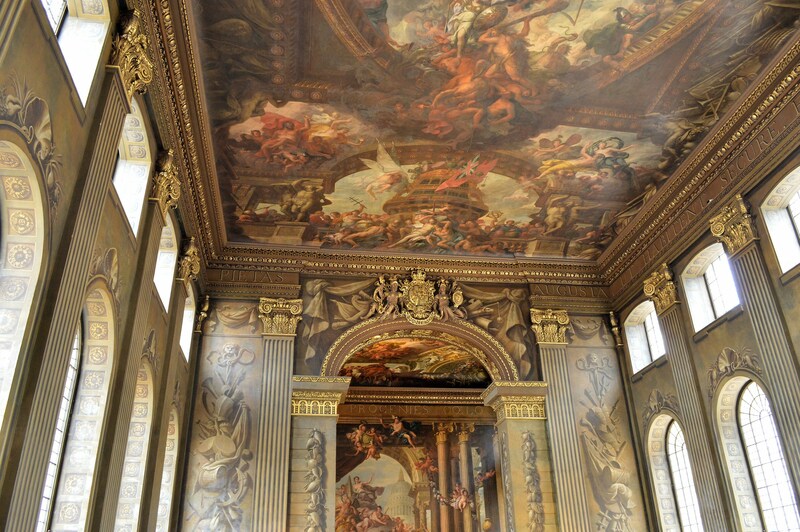 More Information and Photographs of the Painted Hall. 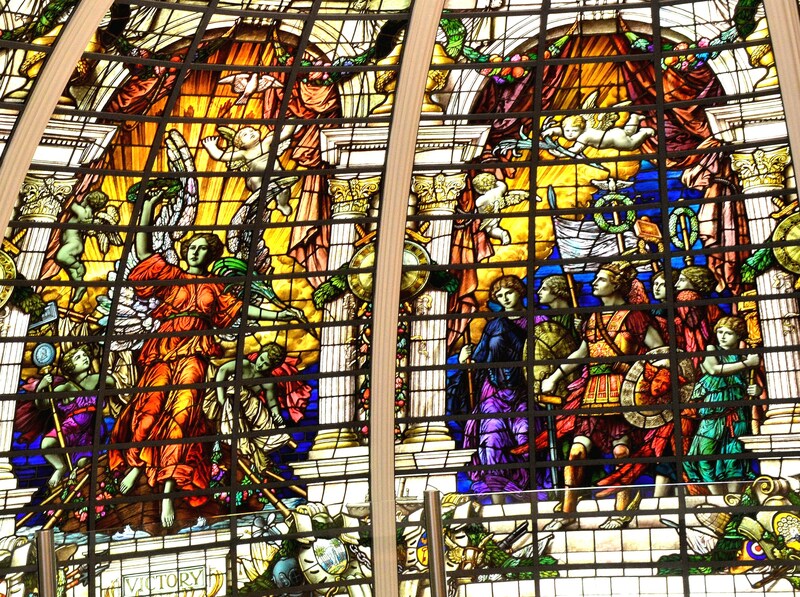 It is accessible via the Cutty Sark gate or the West Gate. The visitor center is the best option as a first port of call. Please see the Sitemap. Chapel Photographs Admission is free, you can take non-commercial photographs and is worth visiting. Admission is also free here, you can take non-commercial photographs and is worth visiting. The Museum. More Photographs from inside the Museum. However, please bear in mind that the exhibits do change over time. 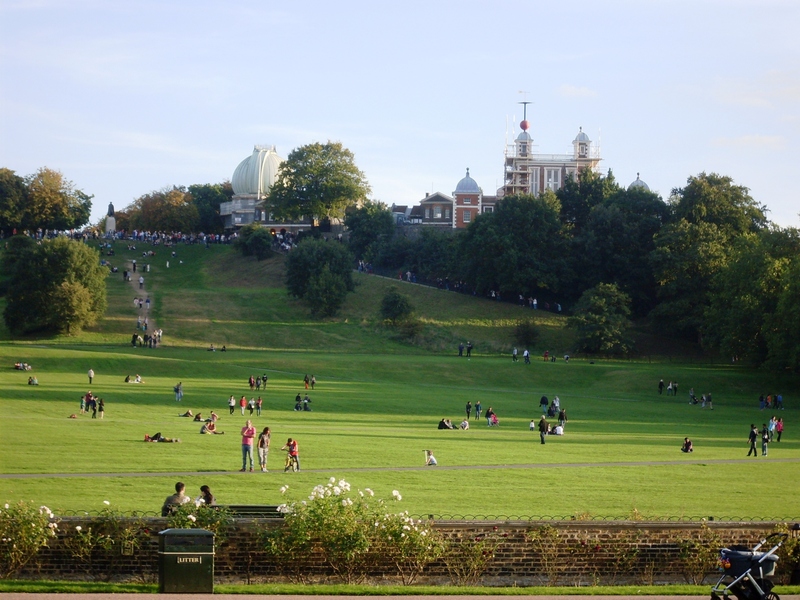 Behind these buildings, there is the hill which leads to the Royal Observatory and the Planetarium. Formally known as Queen Annes House, it is in fact associated with two Queens. Admission is free. 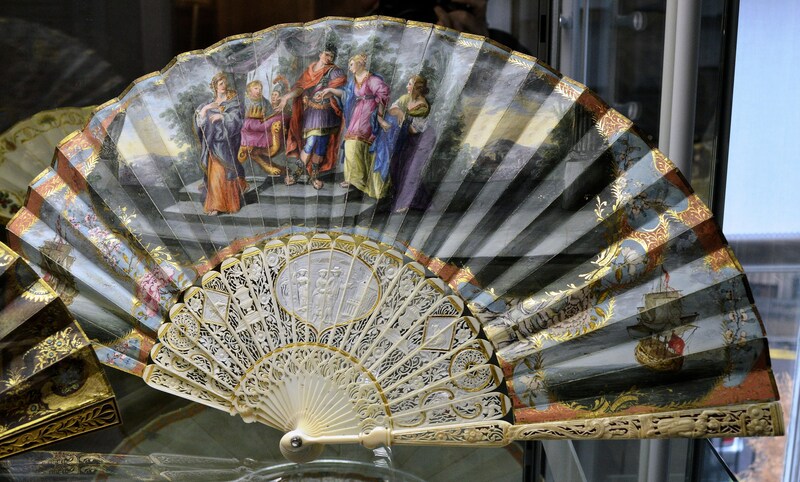 The interior architecture and art works mean that it is certainly worth a visit. Non-commercial photography has been allowed since the refurbishment in early 2016. There is a small charge but you can take non-commercial photographs. The market offers numerous arts and crafts at reasonable prices. Images from inside the market. This view is from the South with the park at my back. 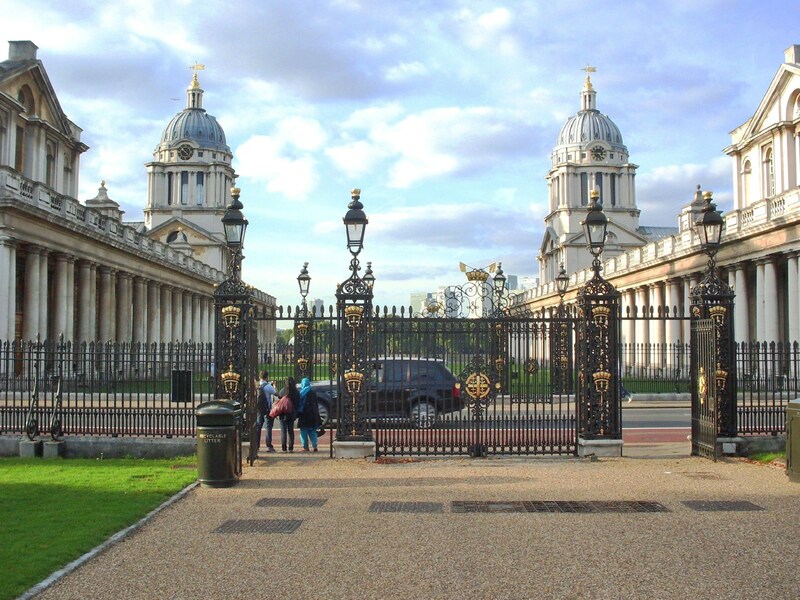 Using the sitemap, exits from the Naval College, are from the Romney Gate which faces the park or the the West Gate (turn right towards the park). 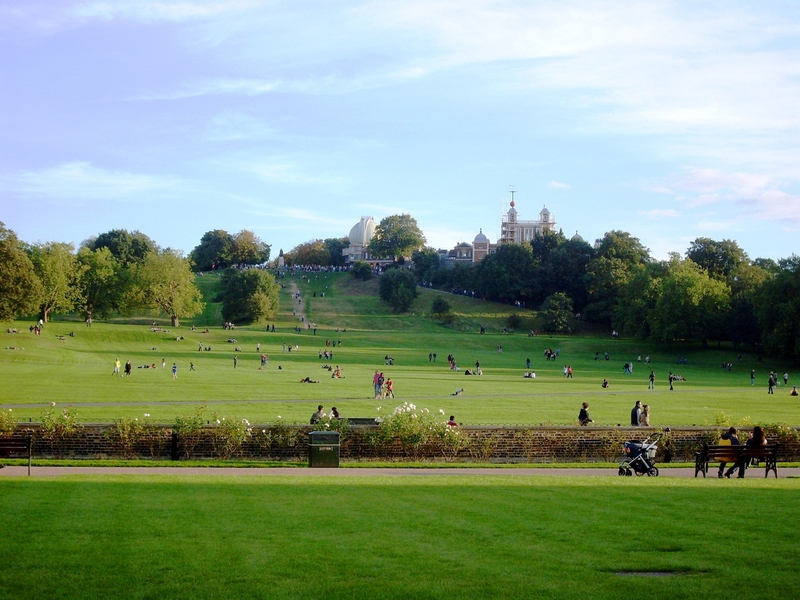 When facing the other way there is Greenwich Park, with the Queens House, the National Maritime Museum,the Royal Observatory and Planetarium up the hill. 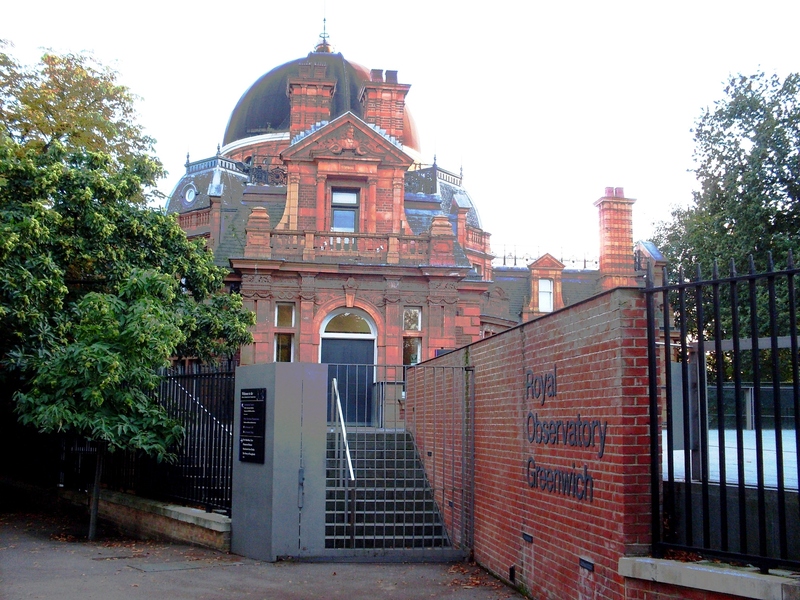 The Royal Observatory (see charges) houses the Astronomy Center Gallery (free), the Harrison Timekeepers, the UK’s Largest Refracting Telescope, Flamsteed House and the Meridian Courtyard. The Planetarium, is nearby. 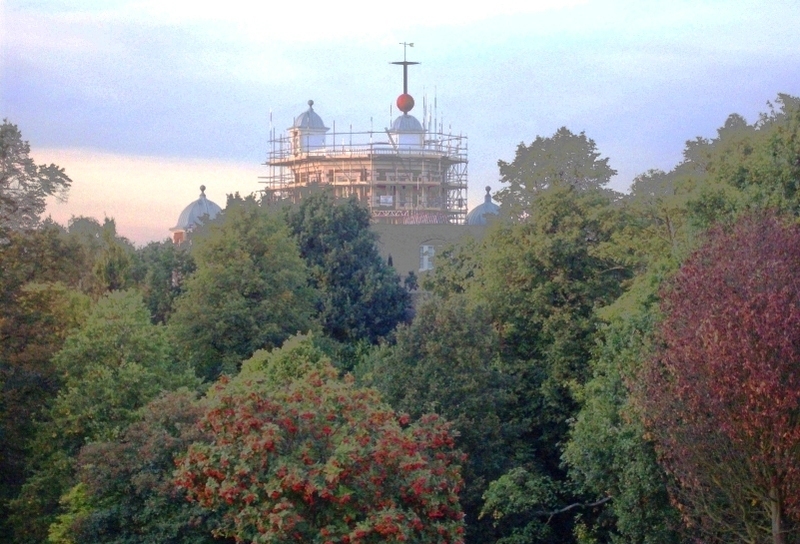 Flamsteed House, Meridian Courtyard, the Harrison Timekeepers and navigation is here ⇐. View the Tourist Information Map (updated and you can save as a PDF) and discover that there a number of places where one can stand on the Prime Meridian for free and without queuing. The red ball at the top is used to mark time (either noon or 1 pm) when it dropped so that ships could set their chronometers. It was used instead of a noon day gun because sound takes time to travel. The Time Ball. The climb is about 140 feet. That’s about the height of a 15 story building. The easiest gradient is by the road to the right. The diagonal route, under the trees has a place to sit about half way up. The climb can be avoided by traveling around to the plateau beyond, and do the tour in reverse. Please see Travel to Greenwich. And, you must think I’m daft, if you think I’m going to walk up there. Straight on past the observatory is a more landscaped park (see the row of three pics at start) that leads to diagonal roadside parking and the number 53 bus stop. Turning right after the observatory and crossing the road (The Ave ~ Avenue) leads to an untended part of the park. There one could see a statue by Henry More entitled Knife Edge. It was on loan to the park and may be gone by midsummer 2014. 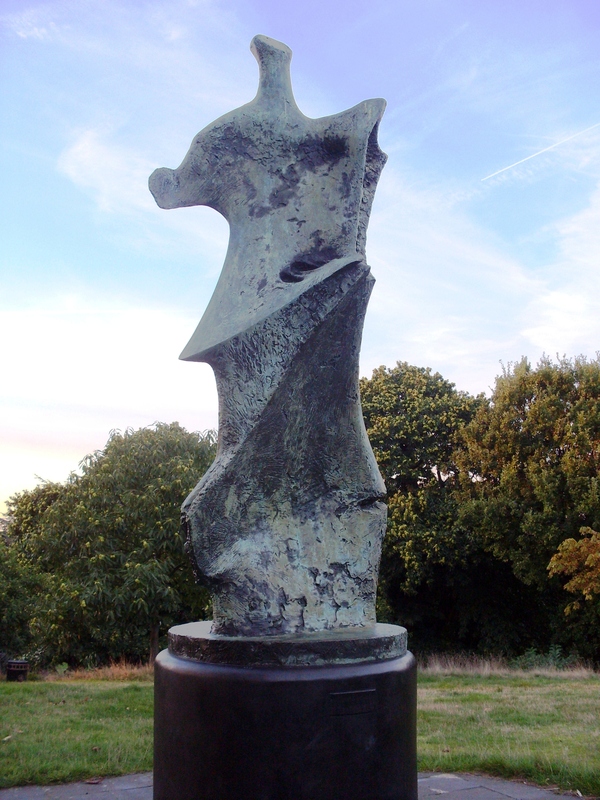 Here are two views of the same statue. Further on, can be seen a view of Our Lady and Star of the Sea. 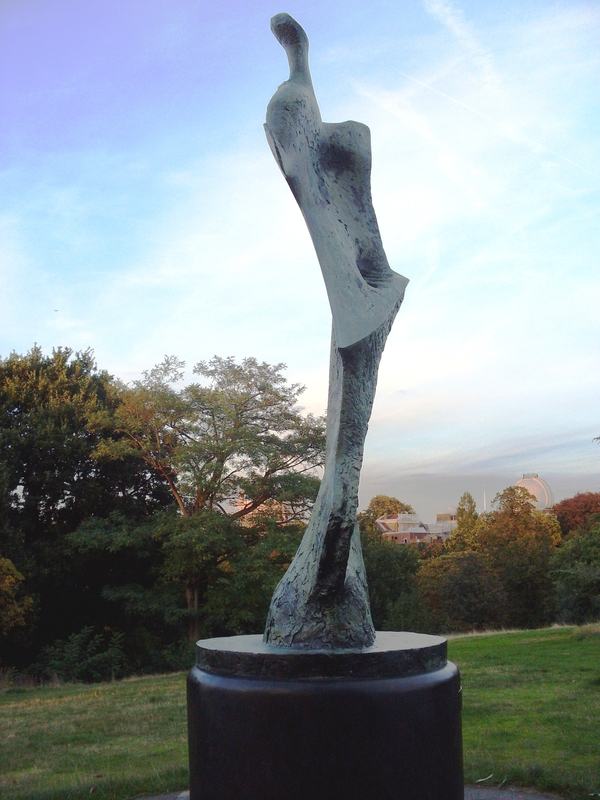 There is also another view over London. The Ave ~ Avenue divides the main park and the West side and is closed to all traffic after dusk. With the trees acting as a buffer to sound and light, it is very much like being in the countryside. It is used by cyclists and the occasional skate boarder, so it wise to stay on the pavement/sidewalk. The Ave ~ Avenue continues as King William Walk and at the bottom the welcoming sight of a Tavern. There are numerous Taverns, Pubs, Cafes and Restaurants. Using Google Maps enter any one of those four descriptions. You can also specify Indian, Vietnamese, Chinese,Thai, Italian, Spanish and French. And, there is a traditional Pie and Mash shop. The nightlife is generally thriving but gentle. A good place to unwind. Like many tourist venues food and drink can be both pricey and pretentious, especially at the park owned venues. Best option is to picnic in the park. On rainy days there is plenty of shelter/benches on the walkway between the Museum and Queens House. Alternatively, recommended are “The Yacht” and the “Plume of Feathers”. Both to the east of the Naval College. This entry was posted on May 12, 2014 by Graham in Hats. It was filed under East London, Greenwich Park, Photography, places to photograph in london, Places to Visit, Travel, uk and was tagged with Greenwich, greenwich observatory, history of navigation, naval college, photography, prime meridian, the queens house. The photos look gorgeous. Next time I’m in London…. Oh I want to go!! Great post and photos! Beautiful photos. Would love to stretch out on that green lawn! First, thanks for dropping by my blog thereby providing me the opportunity to ‘discover’ yours. 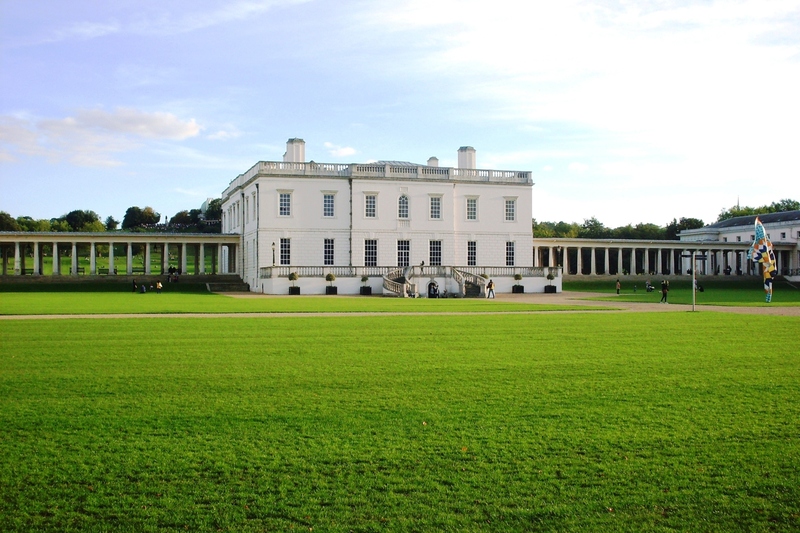 Now, I realize this post on Greenwich goes back a few months but it turns out to be perfectly timed for a close friend of mine who will be visiting London and its environs this summer and who has been asking questions about things to do in the city. Obviously there are a gazzillion things to do in London and far more than anyone could ever hope to experience on a short visit. I’m sure she’ll find many of them. But I doubt she’d find Greenwich. So I will happily forward a link to this post! The date of the post reflects that it was extracted from an older blog (onlineinpopar). On checking that blog I saw a previous visit by yourself and decided to take another look at your own. I’m glad the Greenwich post will be of some use, that being it’s intent. I intend to poduce more “visitors guides” to London and the UK. The usual, together with some of the lesser known. Unfortunately I have little time to do a thorough job at present. But, since there has been other interest, I will shortly produce a list and flesh it out later. I hope that this helps. Was this today? The light looks good. Yes although it mostly goes unnoticed. Oh, nice going on the forum, by the way (about the so-called ‘upgrade’). Many thanks for your voice. I’m sure it means a lot to a whole lot of users. Cheers! All the pictures are terrific. Being a fan of night photography, though, I’m partial to your evening shot of Greenwich Tavern. Yes I like that too. It’s a bit more difficult, but I’m learning and worth the effort. I’m hoping to visit Greenwich next weekend, so all of this is quite timely! 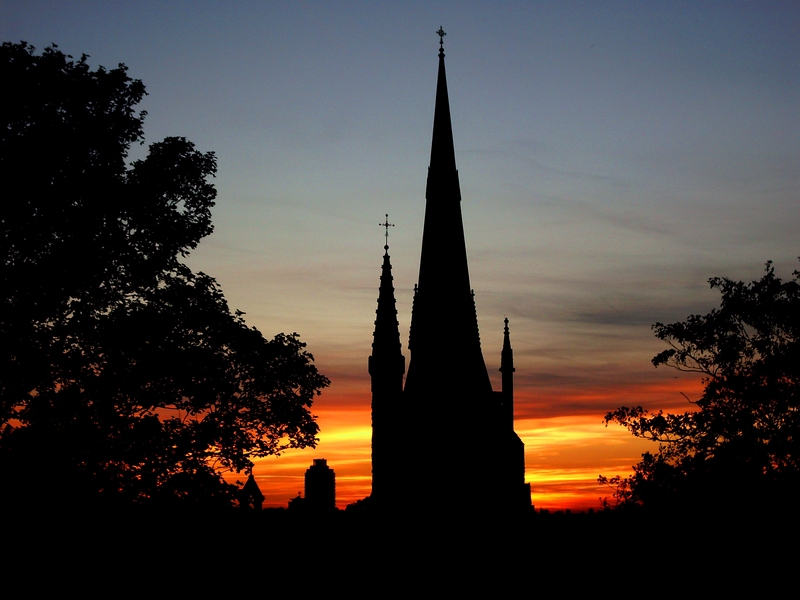 I hope you enjoy, it is quite a remarkable place. I would give some thought to food and drink. Quite a lot of places area bit pricey and pretentious. The best recommendations I have heard are “The Yacht” and the “Plume of Feathers” (both can be googled). Although I have no had a chance to try them myself. Great blog post about such an amazing town! 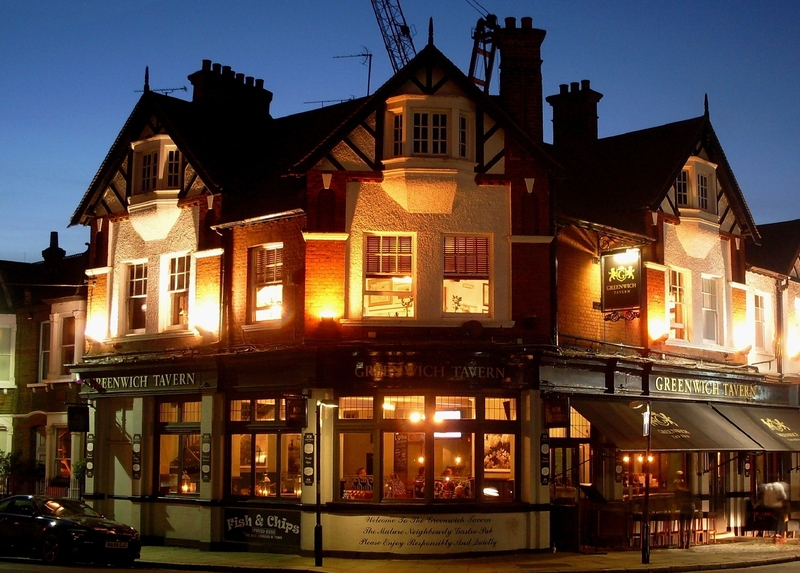 I’m contacting on behalf of the Greenwich Tavern – we love your photograph of the venue! Would you mind if we used your image on some artwork we’re making? Full credit would be given of course. It’s completely fine if you’d rather we didn’t! Firstly, thank you for the courtesy of your request and will appreciate the credit. You are very welcome to use the Tavern image. Thank you so much, it’s much appreciated. Same to you! I remember going to see the Cutty Sark several times when I was a boy. It was one of my dad’s favourites. The Cutty Sark does seem to have become ingrained in British history. I remember knowing the name before I really new what it was. Perfect location for a good day or two out! We spent a lovely day here a few years ago. Great stuff. It’s just across the water from me and always a place of interest.